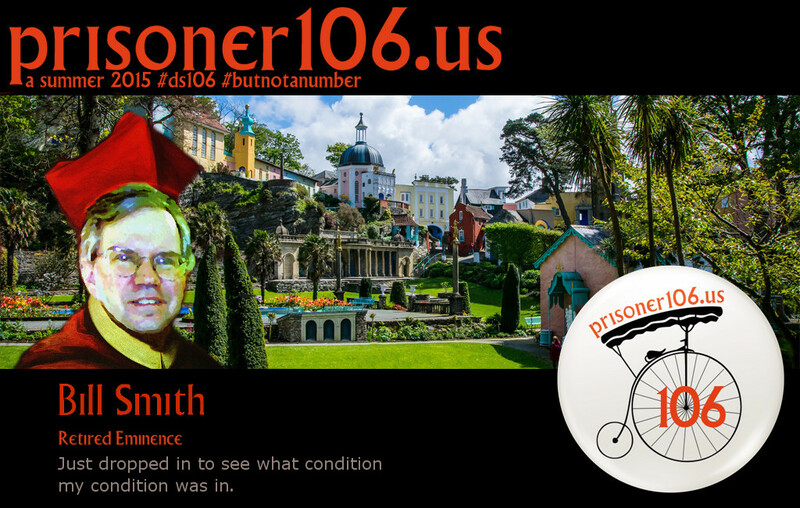 This entry was posted in Prisoner106 and tagged DesignAssignments, DesignAssignments55, prisoner106. Oh – I think you did brilliant! The blue line – cosmic – great when chance plays into the design. I also like your presentation on the desk. Very appropriate and fitting. and don’t you love the way there are so many ways to make mashed potatoes! However you get there as long as it is good on the other end and the cook is happy! “Cosmic” is a word that is in my mind a lot recently. “Fantasizing the cosmos,” to quote Scottlo quoting Bob Fass. 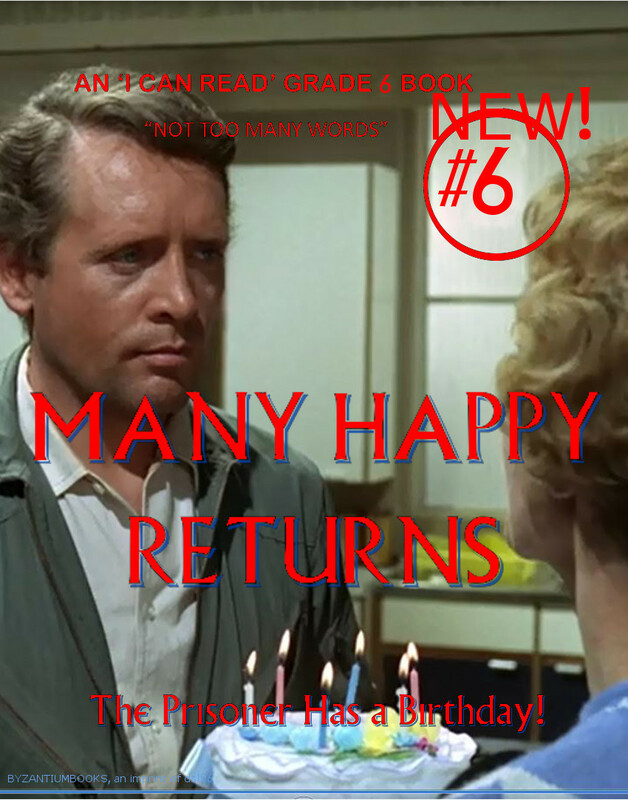 Here at Prisoner106 we fantasize things that don’t exist and make them appear. Most excellent! It looks just like it’s a real book, sitting there waiting for me to read it! It might have a lot of description, and perhaps a lot of internal monologue that Number Six clearly doesn’t speak in the episode, but yes, it is probably a bit thick for that one show. Thanks for documenting your process so clearly. I’ve half a mind to follow your lead and do just this same process and see how it turns out for me. I picture this big book with little dialogue as filled with maps, charts, journal pages, how-to-make things, and other activities. Lots of white space for writing and drawing. Maybe a perforated tear-out build-your-own raft. 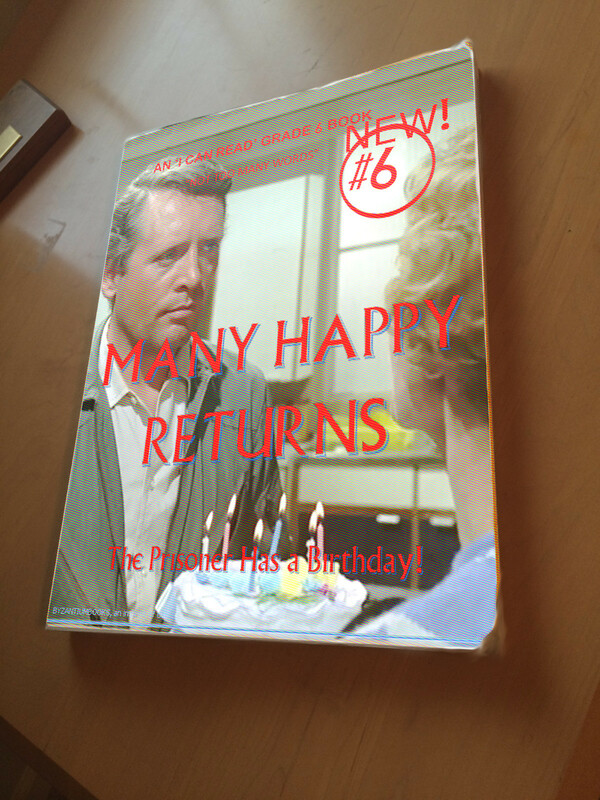 And six real candles with a recipe to make a birthday cake! Reading as part of the larger activity of learning. Hi Bill, Great stuff, more gimpformation, bookmarked. I love the detail top edge and the whole style. Thanks, John. The edges really gave me a bit of work. I used a combination of erasing to transparent and, once merged, smudging a little bit. It’s also interesting how the title text looks like a little offset of the color registration. I had used Word Art in Microsoft Word, selecting a bit of a drop shadow. The unintended result was better than I hoped for, since I chose the dotted screen later in the process. All good fun! I had trouble with my Village font too. I ended up installing it again and that worked. Don’t know if you’ve tried that already. You really captured the retro feel with your cover. The effects remind of of the Lurlene McDaniel books I used to read in middle school.